Fancy a year in Gibraltar? 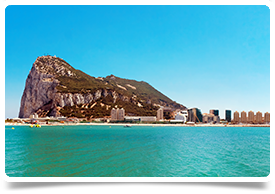 We are looking for a Non-consultant Hospital Doctor in General Medicine to work in the stunning location of Gibraltar on a 12-month contract. Applications are invited from experienced Registrars for appointment to the below mentioned vacancy on a 12-month fixed term contract. The Gibraltar Health Service is organised and modelled on UK NHS and follows traditions of British medical practice. Applicants need to be registered with the UK General Medical Council, with a licence to practice. Non-native English speakers must have a good command of English. Applicants for the above post must have a minimum of three years’ experience in acute general medicine and related medical sub-specialties, including coronary care. MRCP would be an advantage. Medical NCHD’s are resident on-call 1 in 6 and supported by five Consultant Physicians and resident intensivists. Candidates are expected to be competent in dealing with acute medical emergencies when on-call. This appointment will be on contract terms for a maximum period of 12 months and may be renewed conditional on satisfactory completion of the term of service and the circumstances prevailing within the department at the time. Please note Gibraltar is outside of IR35 and you can work on a self-employed basis. The salary per annum is dependent on years of reckonable service as a Senior House Officer, or equivalent and the salary scale ranges from £62,078 to £86,432. This is inclusive of a 100% out of hours supplement, in respect of a 1:6 resident on call. 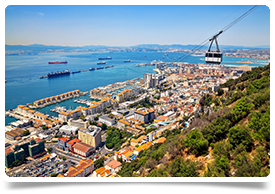 In addition, economy class air-fares from the UK to Gibraltar return are payable in full and rented accommodation is subsidised, where the maximum amount per month is dependable on family composition. If you are interested in this job, please get in touch with Allison on 0131 240 5287 or email allison@headmedical.com. If you have friends/colleagues who are interested in this post, refer them to us and if they are successful, we will pay you £500 as a thank you for each successful referral.